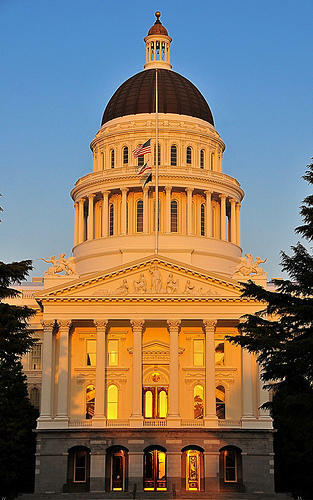 The message referred to California State Assembly Speaker John Perez, a Democrat who represents the 46th District, which includes Downtown and nearby districts that are part of the Garment & Citizen’s circulation area. Perez has been in the Assembly for more than two years, and he’s gotten plenty of publicity for being the first openly gay person to become Speaker. Some folks are vaguely aware that he’s a cousin to Los Angeles Mayor Antonio Villaraigosa, and a former city commissioner. Perez hasn’t been what you’d call a man about the district, though. Ask beyond tight circles of political operatives and special interests—inquire among regular folks who live or work or own small businesses in the 46th District—and you’ll likely find little familiarity with him or his staff. Not many can point out much good Perez has done as a public servant, either. A number of observers and constituents believe that his most significant piece of legislation amounts to a favor for the Anschutz Entertainment Group (AEG), owner of the LA Live development near the Staples Center—and also a big political contributor. Perez championed a law that granted AEG an exception on selling alcohol advertising at the Nokia Theatre at LA Live, a potentially lucrative concession. I still held out hope when I saw the subject line of the recent e-mail—but that evaporated when I read the message. It came from a group called Courage Campaign, and it aimed to orchestrate some sort of mass teleconference with Perez as the star attraction. I grow wary when I see that Courage Campaign’s website on the Internet tosses tired chunks of red meat to the partisan political class, touting the organization’s efforts to help “kill” some proposal by Republicans. I get more concerned about a list of “partners” that includes assumed allies of the Democratic Party. The members of Courage Campaign are certainly free to engage in whatever politics they like—and so are all of their partners. So is Perez, for that matter. I just wish that all involved would be honest about “grassroots” and “netroots.” It’s obvious that Courage Campaign is part of the political power structure and the bickering that passes for government in California these days. That’s not a grassroots or netroots approach. Grassroots political movements challenge existing power structures. Courage Campaign is a cog in a political machine. The Speaker wants to talk with you so he can convince you to give money to a political organization that will, in turn, provide him and his allies support in the future. You are all special interests, creatures of twisted system. Getting the Speaker of the California State Assembly to shill for your fundraising makes it obvious that you are part and parcel of a political culture that has failed. You might soon be just about the only ones left who don’t realize what you have become. We need a new approach, fresh ideas, and bold challenges to the old politics that have done so much damage to California. A pay-to-play teleconference with a politician who has yet to solve one problem amounts to nothing more than the same old problems.